Taking the bus has proven to be the most convenient way to get around within Malaysia. Why take on the driver’s seat when you know you can enjoy the luxury of sitting on a bus that takes you to your destination while all you need to do is just relax? By deciding to travel by bus also means you will be able to save some money as it is known to be more cost-effective. 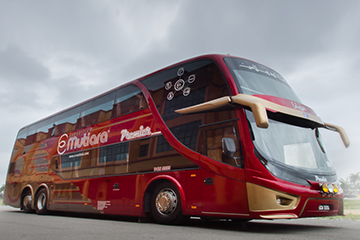 Ekspress Mutiara or also known as E-Mutiara Express is one of the many operators that has been providing bus services to the people in the country, especially at their home base of Kota Bharu, Kelantan. These days, you can book your bus ticket online by logging on to Easybook website to avoid disappointments. The express bus operator’s most famous route would be from Kota Bharu to Kuala Lumpur, which takes approximately 7-8 hours journey. Besides that, there have been many travellers have also purchased bus tickets that goes to Melaka, Lumut, Seremban and others as well. You don’t even have to travel far to purchase the bus ticket now, when you can do it online through Easybook’s website over here. You can also download our mobile app to your device in order to purchase the bus tickets anytime you want. 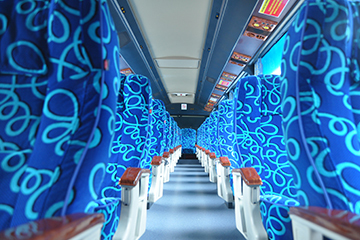 The comfortable E-Mutiara Express vehicles that are available in double deck of 48-seaters come with comfortable seats with good legroom space for a pleasant ride. Express Mutiara operator also provides Wi-Fi service on some of their buses to allow you to be connected to your family and friends, as well as what is happening in the world in real-time. Charging ports are also available because Ekspres Mutiara understands how important it is to keep your devices stay fully charged. In 2016, Ekspress Mutiara won the Best Safety Practice Award which was presented by the Land Public Transport Commission or more known as SPAD. 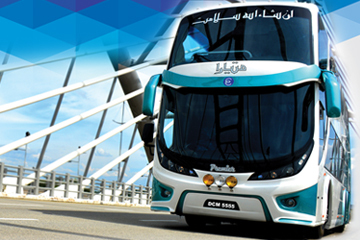 Previously, E Mutiara bus have also won the Outstanding National Occupational Safety and Health Award in 2011. You can be assured that they put your safety first as you are their number one priority for the bus operating company. It doesn’t matter if it is scorching hot or pouring rain, Easybook is always ready to receive your bus ticket booking at the comfort of your own space wherever you may be. Stay safe and have an enjoyable journey when you choose to ride with the reputable Ekspress Mutiara to your desired stop. Keep it locked to Easybook website to find out if and when there is a promotion to your favourite destination!